The Cheyenne Buttes played a prominent role in the history of Fort Robinson. 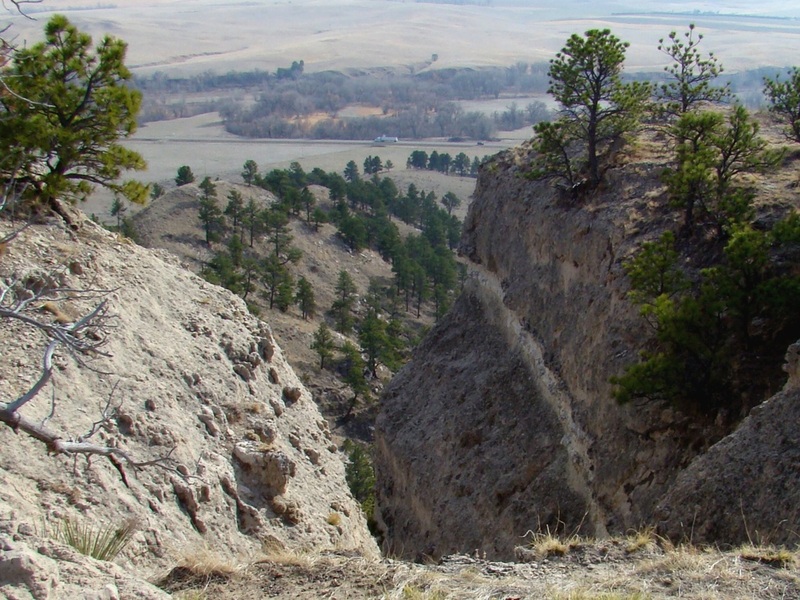 The Omaha World Herald reported this: "The buttes are part of the escape route taken by about 150 Northern Cheyenne Indians who broke out of a Fort Robinson barracks on a subzero January night in 1879 after the Army tried to starve and freeze them into submission. 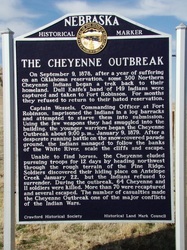 The 12-day running fight between the fleeing Cheyenne and pursuing troops left 64 Native Americans and 11 soldiers dead." A majority of the people who visit the Cheyenne Buttes access the summit by a state park Jeep ride, or by horseback. 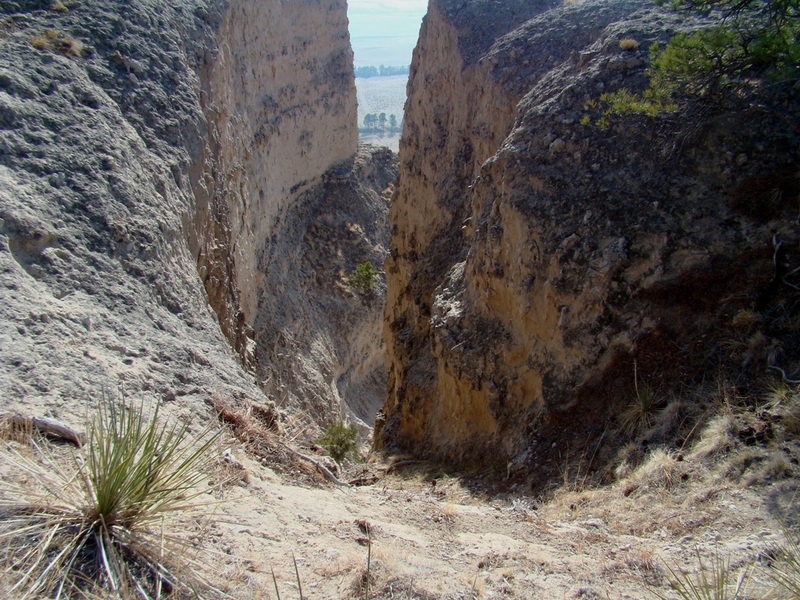 But, the Cheyenne Buttes Trail is also open to hikers. 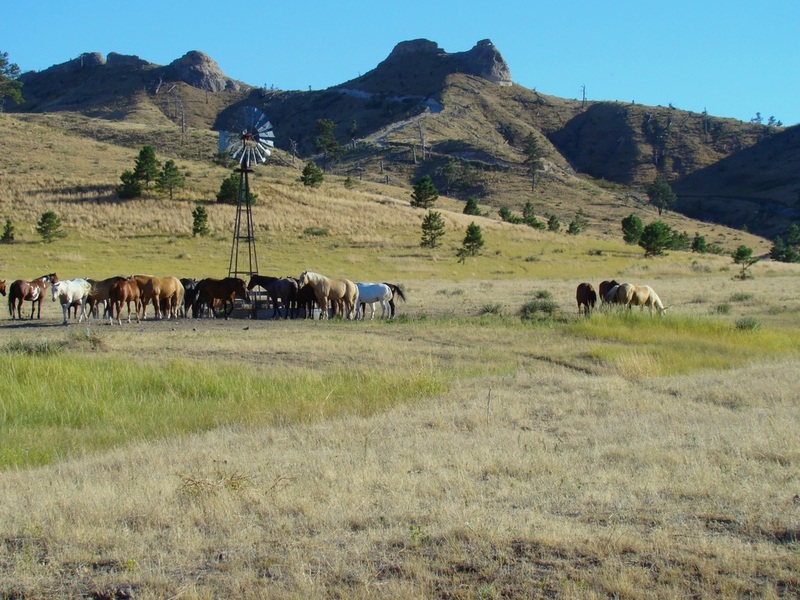 Trail information can be accessed online through the Nebraska interactive trails map: Nebraska Trails Interactive Map One way to reach the Cheyenne Buttes Trail head is by hiking from the park headquarters on the Soldier Creek Trail Ride Trail. 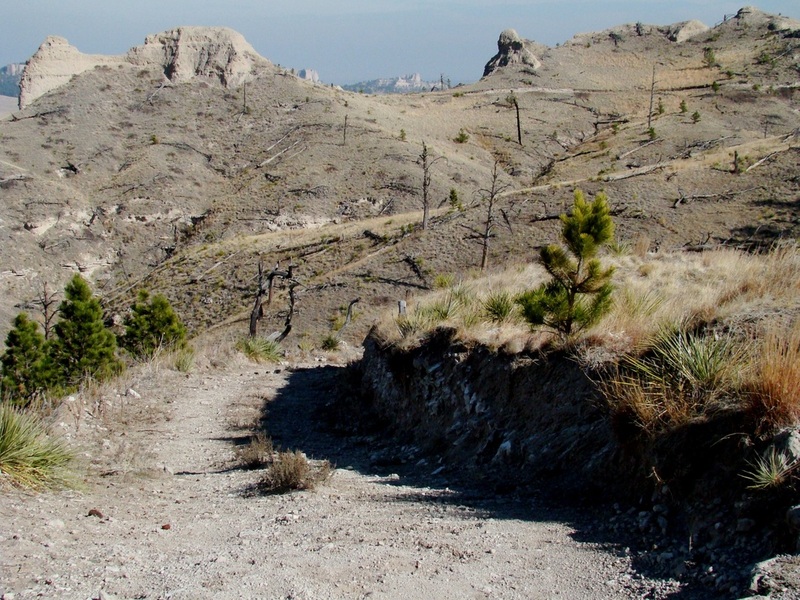 Or, you can drive out Smiley Canyon Road and access the trailhead from the road. 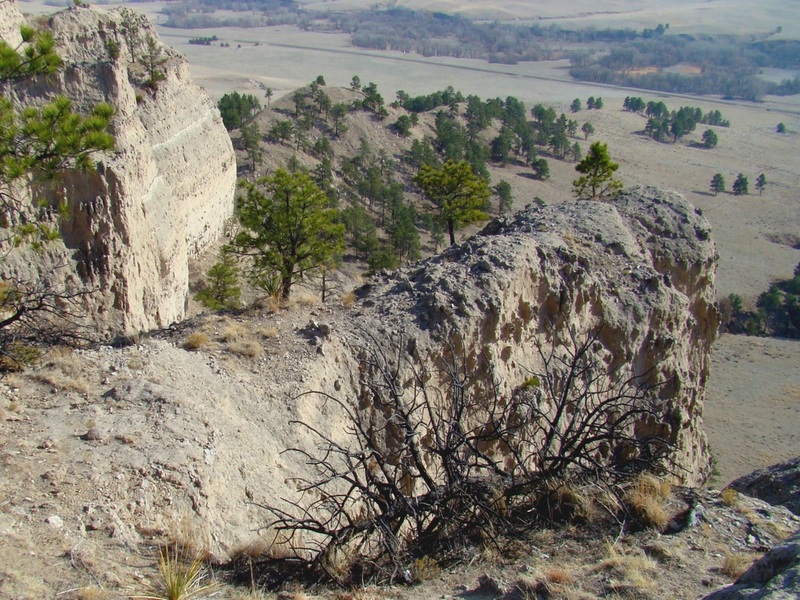 It's about 2 1/2 miles past the White River, and there is a small parking lot there. 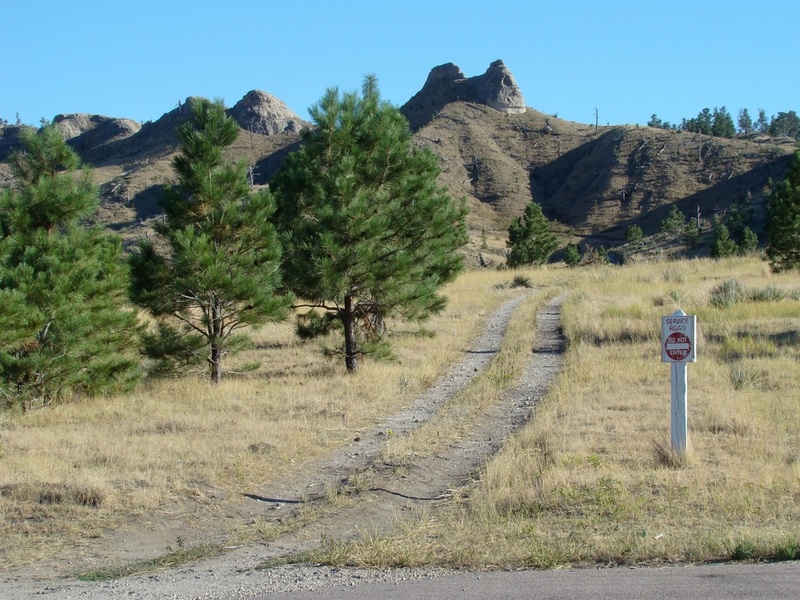 It's not more than a mile to the summit, and you can either return the way you came up, or hike the rest of the loop, which will require you to walk 2 tenths of a mile back down the road to the trailhead where you started at. This is the eastern trailhead of the Cheyenne Buttes Trail. 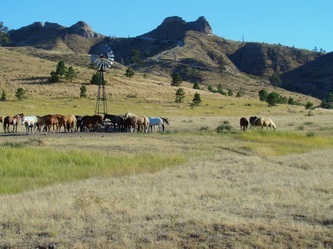 There is a small parking lot here. This is a view of the Cheyenne Buttes Trail part-way to the summit. 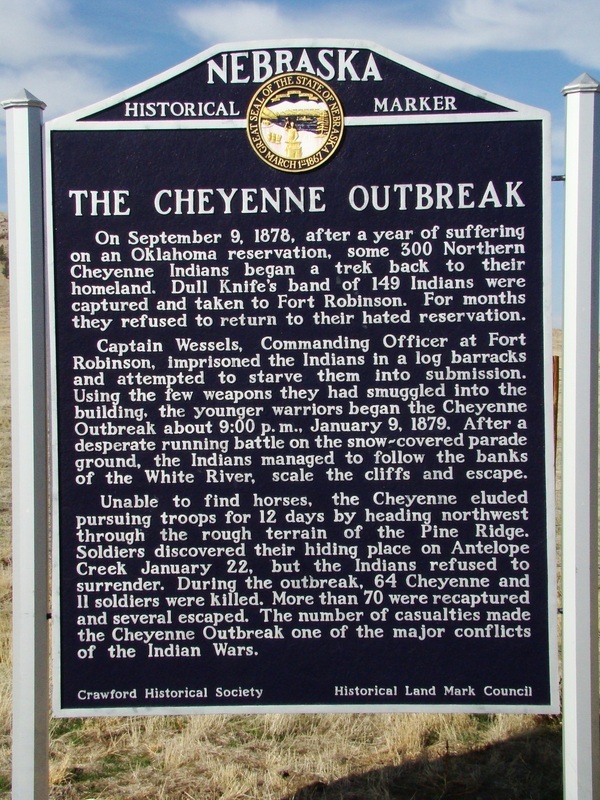 This memorial to the Cheyenne Outbreak of 1879, is located along Highway 20 just west of Fort Robinson, in front of Cheyenne Buttes. This is one of many views looking south from the summit of Cheyenne Buttes. 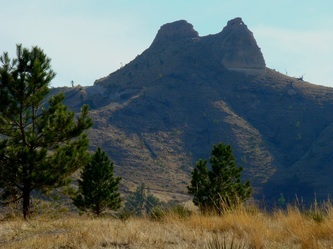 This unusually-shaped hill is along the Cheyenne Buttes Trail. Another view looking south from the summit of Cheyenne Buttes. 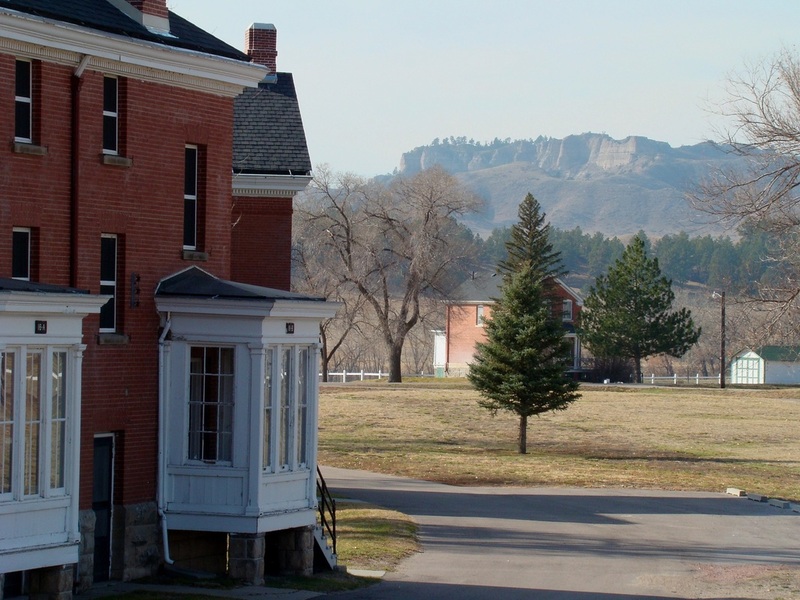 Cheyenne Buttes can be seen from the officers' old homes at Fort Robinson.